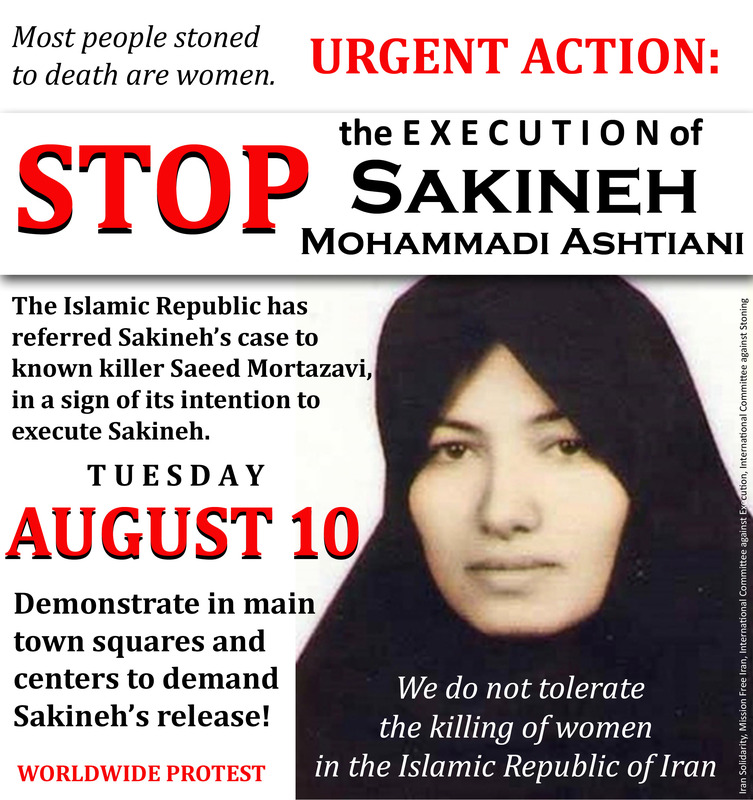 AUGUST 10: Schedule of Protests to STOP the Execution of Sakineh and DEMAND HER RELEASE! EXECUTE THE THREE JUDGES WHO HAVE SENTENCED SAKINEH WITH NO PROOF OF ANY CRIMES COMMITTED. Free Sakineh! There will be a protest in Ottawa on August 10th, in front of the Parliament Buildings, from noon to 2:00p.m. Please stop the execution BY ANY MANNER Of Shakineh Mohammadi Ashtiani. Execution is a foul and grotesque act.